About Lolldaiga Hills - Lolldaiga Hills Ltd.
Lolldaiga Hills Ranch is a 200 km2 (49,000 acre) livestock ranch and wildlife conservancy. Located 20 km north west of Mount Kenya at an altitude of 1,700 – 2,300 m, the Ranch has outstanding views of Mount Kenya and the Aberdares. The Lolldaiga Range is an ancient land form, comprising of a series of magnificent high folding hills, cedar forests, open grassland and wooded valleys. A well documented series of archaeological finds, cave paintings and burial mounds show that the Lolldaiga Hills have been a treasured home since early mankind. Lolldaiga Hills Ranch is a working livestock ranch, a carefully stocked commercial operation that is integral to effective wildlife and habitat management. 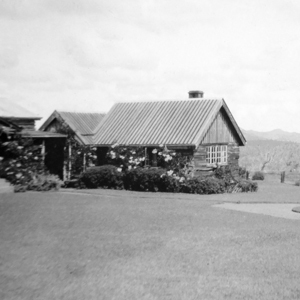 The Ranch receives visitors to the Farm House. Low-impact walking and horse-back safaris allow visitors to experience Lolldaiga’s diverse wildlife and spectacular views. Lolldaiga Hills Ltd has a community out-reach programme and is used by the British Army to conduct training exercises on the varied terrain.